Home / events / Free coffee! 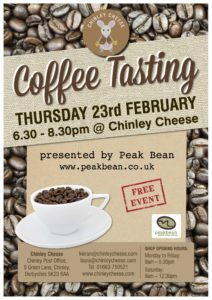 Peak Bean are visiting Chinley Cheese this Thursday at 6:30pm. Come along to find out more about their coffee at our free tasting event!